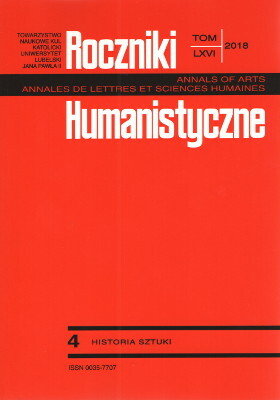 Roczniki Humanistyczne (Annals of Arts) is an academic journal of the humanities published by the Learned Society of the John Paul II Catholic University of Lublin and the Faculty of Humanities of the John Paul II Catholic University of Lublin. It has appeared without interruption since 1949. Roczniki Humanistyczne is a platform of exchange of ideas in four areas of the humanities – literary studies, linguistics, history, and art history – as well as across these disciplines. Roczniki Humanistyczne publishes research articles, review articles, reviews, and short communications. Contributions are accepted in Polish, English, German, Dutch, French, Spanish, Portuguese, Italian, Russian, and Ukrainian. The language of contribution may vary depending on fascicle. Roczniki Humanistyczne is published yearly in 11 thematic fascicles as described in the section About the Journal – Focus and Scope.